If you are a budding photographer, only just starting out and getting a hang of the job – or even a seasoned professional – building a website to showcase your talent and expertise is the right way to go. But, to get the most of it, you need the perfect lineup of WordPress plugins. Since basic SEO and speed optimization plugins are a must for every website, we will focus only on those specific to photography. Envira Gallery is a responsive photo and video gallery plugin for WordPress powered websites. Using this plugin, image gallery can be setup in the matter of minutes and will look amazing on all devices (desktop, laptop, tablet and mobile). Video Galleries – You can add YouTube, Vimeo, Wistia, and other videos in your video gallery. Adobe Lightroom to WordPress – You can automatically create and sync photo galleries from your Adobe Lightroom Collections. Soliloquy is a drag & drop image slider plugin that allows creating beautiful responsive image sliders and video sliders for your WordPress site in minutes. Both the frontend and backend queries are highly optimized to maximize the loading speed, improving search engine rankings and user experience. Storyform allows photographers to get their websites to the next level by telling stories through images making them more enticing to readers. It utilizes rich full-bleed fullscreen magazine layouts that flip horizontally, multi-column content space, large photography, animations, captions, and works great with long articles, photo essays, reports or good old-fashioned blog posts. Storyform is a fully responsive, free WordPress plugin, making content enjoyable on any device. Your users will feel like they are reading an essay book, so it’s truly remarkable and if you can write some great content, your images will stand out with the content. Furthermore, Storyform works with HTML5 standard semantic article content and it applies a template styling and layout that you choose for the post. Easy Watermark is a free plugin which will help you protect your property online by adding watermark to your images automatically – as they are uploaded to WordPress media library. Moreover, you can watermark existing images manually (all at once or an every single image) – watermark can be an image, text or both. Picu is a new, free WordPress plugin designed to help photographers communicate with clients – it allows you to get approval from customers on images you want to upload to your website. For example, let’s say that you took one hundred photos of your client. With Picu, you can quickly upload them all to your WordPress site and then forward the collection over to your client. Instead of losing time on emails and attachments, your customers will be able to browse through the collection. Then, they get to select images that they like and approve them with a single click of a button. 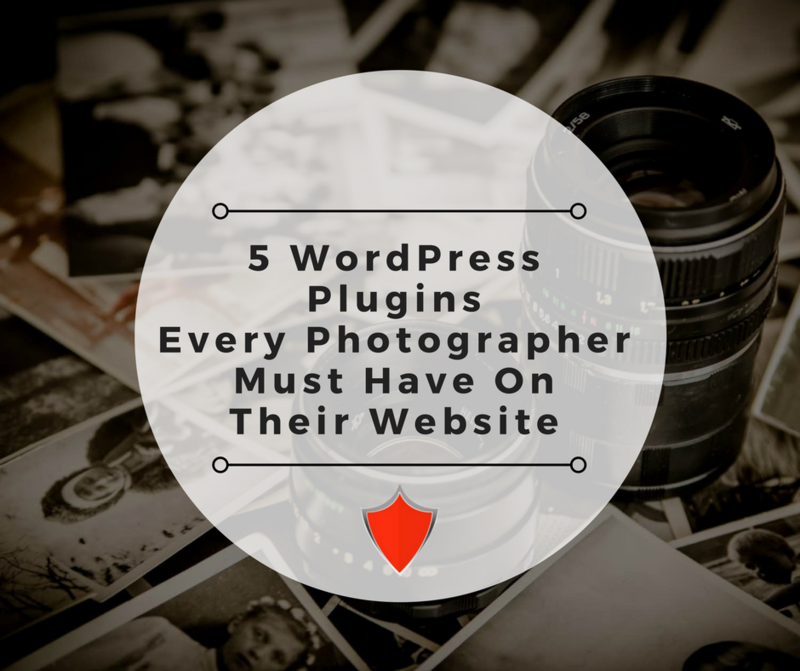 After creating awesome photographs, you’ll also need amazingly useful WordPress plugins to achieve the functionality you want for your website in order to share them with the world. Aside from making your job (and life) easier, you will ultimately attract clients to your photography website and get them to hire you. By the same token, with Awontis you will never have to worry about your website’s security. Call us today and let us take a load off your shoulders! You can try one more WP plugin called Portfolio Designer Lite. This is a free and SEO optimized plugin that you can use to present your image gallery in an eye-catchy way. It offers many features like grid and masonry layouts, 8 effective hover effect, unlimited color option, unlimited color option are really fabulous.